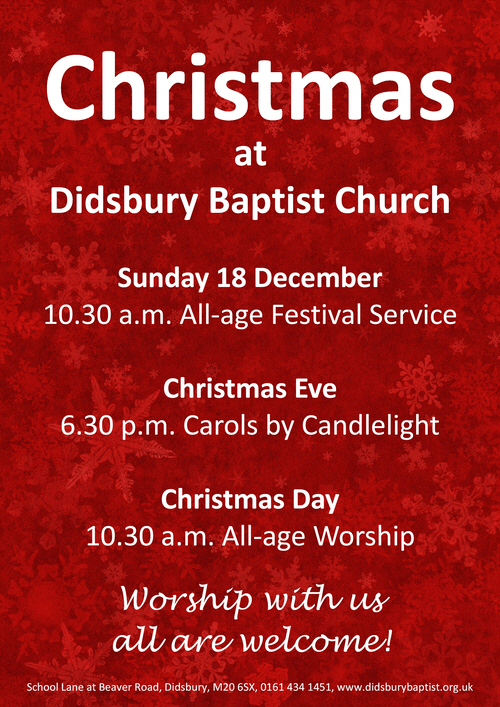 There are two Lent groups in Didsbury this year. They are being held on Wednesday evenings, 7.30pm, at Didsbury Baptist Church and Thursday afternoons, 2.00pm, at Christ Church Rectory (Christ Church, Princess Road). The groups start this week on 8 March and will be looking at ‘The things he carried’ by Stephen Cottrell.